Are you thinking about investing in real estate? You will want to think carefully about what, where and for how much you want to buy, is now more important than ever. Investing in property is the single biggest financial transaction that you will ever conclude and should always be done with great care. There’s more to consider than you think. For starters, property is an active, rather than a passive investment and comes with financial risk. Although, buying your own home should first and foremost be about securing your future and creating a foundation upon which to build a life and future for yourself and your family, you should also make sure that you are a making a sound investment. Whether it is your primary home or a second property such as a rental you should always do your homework thoroughly to mitigate potential risk. Consider the downside right upfront. When the market turns for example, you might find yourself in a tight financial spot and you have to sell. Think about this when you buy: how hard will it be to sell the property if it comes down to it? Consider whether you have the time and financial means for this type of investment. If you are purely looking for an investment, then a property fund might be the better choice, especially if you are a novice or first time buyer. 1. Location, location, location – this old adage will always be the primary driver of demand, prices and property values. Research, research, research. Before you sign on the dotted line, chat to local area agents and get the vital statistics and information about the area. 2. Pay a fair price – do not pay more than fair market value unless you are sure that you are financially secure enough to hold onto the property until it starts to accumulate value. Price growth tends to track economic growth quite closely, so if the economy stalls, so do prices. 4. Street savvy – don’t stop with the neighborhood, also check out the street (or complex) to ensure you are buying in the right part of the suburb. Be sure to check out the prices in your road (or complex) to compare that you are not paying more. Guard against paying a high price for an overcapitalized home. 5. Facilities and amenities – the better the facilities and amenities in the area, the more in demand the property is likely to be when it comes to either selling or renting it out. A good transport network is important, as are schools and then secondary facilities such as shops and other services. 6. Security – this has become an important consideration for neighborhoods and complexes. 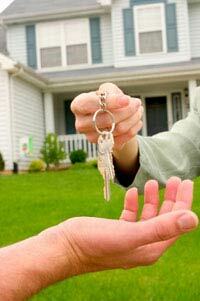 The more secure the property and area, the more attractive it is for buyers and tenants. Check out whether there is a neighborhood watch or similar group and ensure that the property itself is adequately secured and insured. 7. Capital value growth and yields – you obviously want to invest in an area where property values grow at least in line with the market average, preferably at an above average rate. If you are investing in a rental, then you will want to check out the rental returns in the area as it is important to budget for any shortfalls. Ensure also that you build fat into your budget for all the hidden costs associated with a rental property. 8. Leisure and attractions – if you are thinking about investing in a holiday rental, then leisure facilities and attractions are important. The closer the property is situated to attractions such as the beach, river or game reserve for example, the more in demand it will be. Consider who your tenants will be and put yourself in their shoes. Where do they want to stay when they book for a holiday for example? This entry was posted in house flippers, how to, investors, real estate, sell, Uncategorized and tagged home, how to, real estate, tips on August 15, 2018 by Joe Santoro.